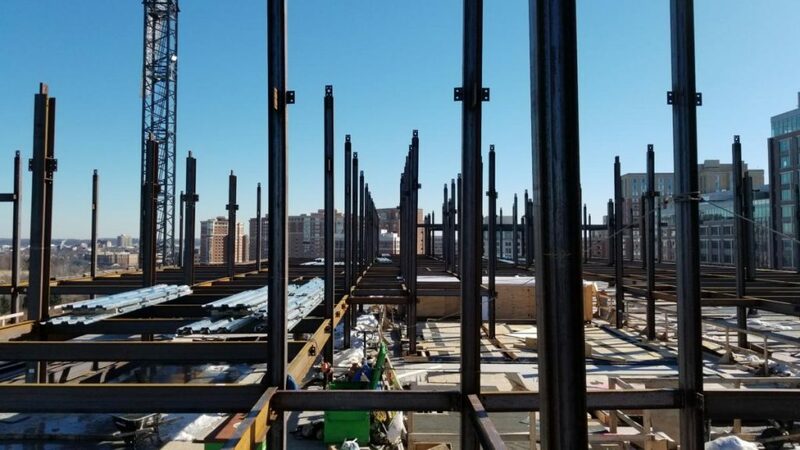 vertical expansion | Williams Industries, Inc.
Williams Steel Erection Co., Inc.
Williams Steel Erection Co., Inc. specializes in complex and challenging projects and one type of project that definitely fits this description is vertical expansions. Here are some pictures of a recent example of 200 Stovall Street with a view of the Alexandria skyline. What you can not see from the picture is the fact that this work is taking place on top of an existing 12 story building!